Merchandising installation. Project management included: Design, fabrication, visual merchandising and installation of 200 sq. ft. branded corporate headquarters presentation. Showcase for current seasonal product line and graphics. 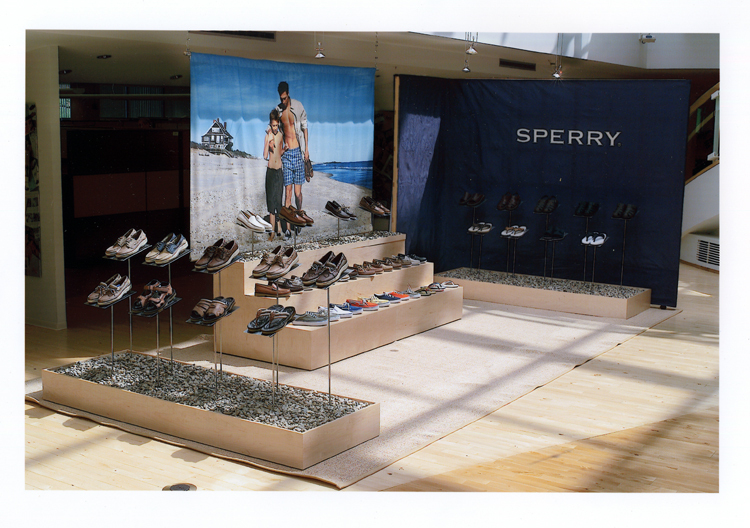 Project management included: Design, fabrication, visual merchandising and installation of 200 sq. ft. branded corporate headquarters presentation.